Anti-Marcos and pro-Aquino entities have been for the longest time detracting the late President Ferdinand Marcos and his families alleged ill-gotten wealth. One of the biggest and most popular proof of these cases of detraction would be the alleged vast designer shoe collection of Imelda Marcos that now resides in Marikina Shoe Museum. But former mayor of Marikina City Marides Fernando brought clarity against the allegations and stated that these shoes were gifts from Marikina manufacturers that the former first lady helped establish themselves in New York. “Many of the pairs of shoes found in Madam Imelda’s closet were made in Marikina and Madam Marcos was actually the patron of the shoe industry. Because she brought the manufacturers to Bloomingdales in New York and help them export their shoes. Maybe that is the reason why she has alot of shoes because many of them were gifts from the Marikina manufacturers,” Fernando stated. She wasn’t entirely sure if Imelda had the alleged 3,000 pairs of shoes. “Actually i dont really know if there is three thousand pairs because we asked for the shoes to be transferred to our museum here in Marikina,” she added. 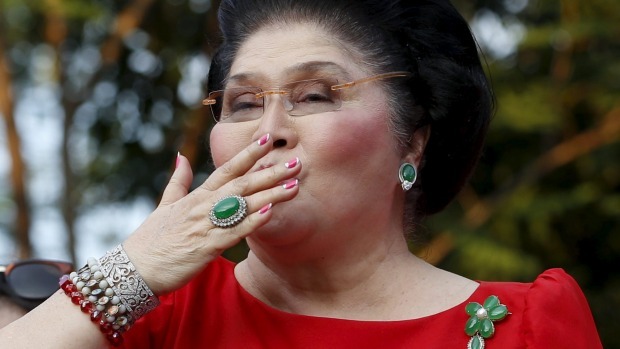 Yet despite all propaganda efforts to prove that the Marcoses are ill-wealthy, Imelda still stands with the museum all while letting the critics babble and create stories that will bite them back once proven false. The former mayor also thanked Imelda for the support that she’s provided to their local industry and hoped that one day she’d actually commit to the legends of the 3000 pair shoe collection to the benefit of Marikina City. The truth spoke for Imelda Marcos, she didn’t politicize the negative publicities that the 3000 pair shoe tale made. Rather she kept quiet and let the truth, from the mouth of the ones she helped, speak for itself.